New York 2012: He looks into the iPhone weather app as the temperatures soar here in the hot melting city. 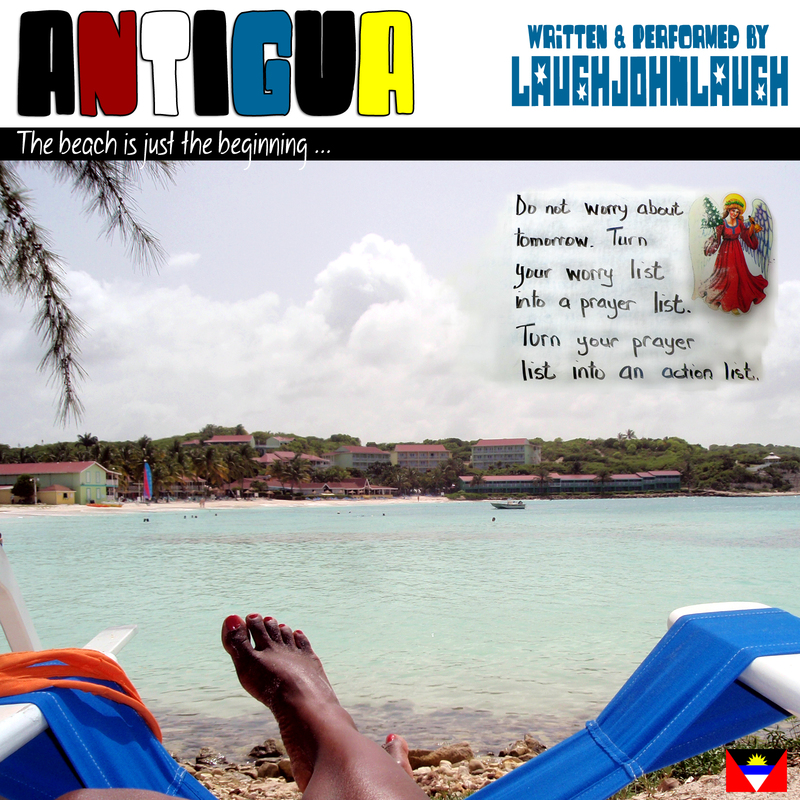 John notices similar temperatures on Antigua- the “gem in the Caribbean sea” as the beautiful words of John’s song describe it. But John would much prefer to be feeling the cool breeze and have a rum punch in his hand in the tropics. As to his inspiration - it was just like it says: “The beach is just the beginning”, his lyrics continue with “your dream is a moment away ... the tide is turned and you’re winning, it's the start of a perfect day” and then into the magical sing along “ooh ooh Antigua” chorus. John’s warm fuzzy feeling's for Antigua continue on another song called ‘Nowhere Without You’ (included on the radio disc) and there’s nowhere that John would rather be than in Antigua “lying on the sand”... “drinking Rum Punch by the waters and watching the sunset at night ” See you very soon Antigua!